Visit Cabinet Discounters in Gaithersburg to browse our selection of kitchen cabinets, bathroom cabinets, fixtures, countertops and other remodeling essentials. And we absolutely love it! We’ve entered our house into a contest in This Old House magazine and the first interior pictures we posted were the before and after pictures of the kitchen. We’ll keep you posted if we win! 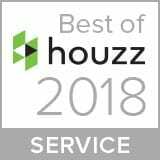 Thank you for helping us earn a “Best of Houzz” Service Award! Cabinet Discounters was rated at the highest level for client satisfaction by the Houzz community. Our business was build on customer satisfaction. In our Gaithersburg showroom, you’ll find an expert team ready to help you design the kitchen or bathroom of your dreams. You can count on us for quality craftsmanship and the largest selection of cabinets in the area. 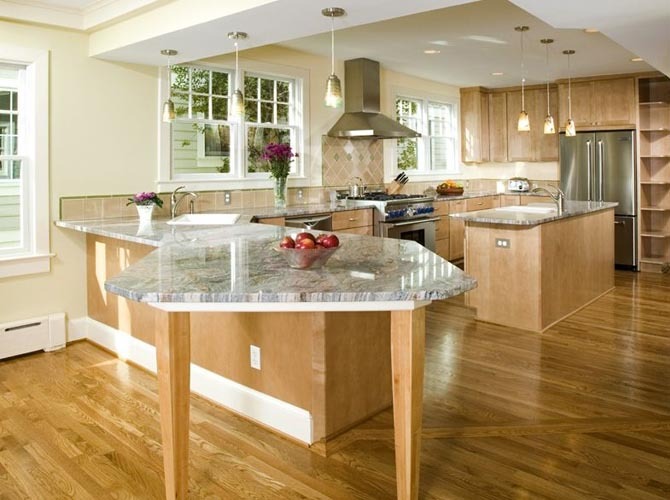 With the help of our kitchen cabinet experts in Gaithersburg, these homeowners turn their kitchen into the heart of the home and gathering place for the whole family. The shaker style cabinet doors were manufactured by Brighton from solid maple wood, with a cider stain. See more pictures of kitchen remodeling projects in Gaithersburg and other locations. Cabinet Discounters does a whole lot more than kitchen cabinets. We offer complete design and remodeling services for kitchens, bathrooms and other rooms in the house. 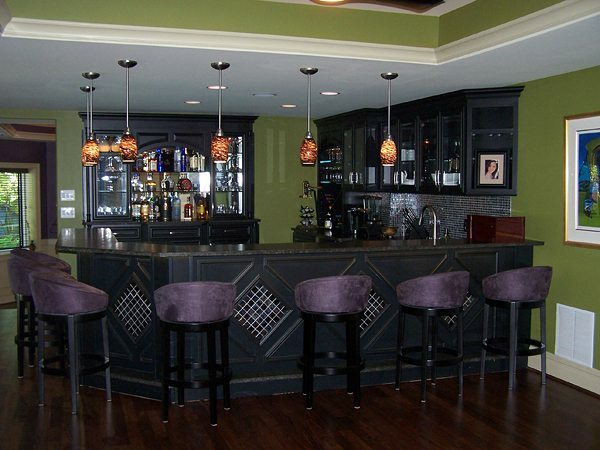 Here is an example of a home bar we built using custom cabinets and countertops. 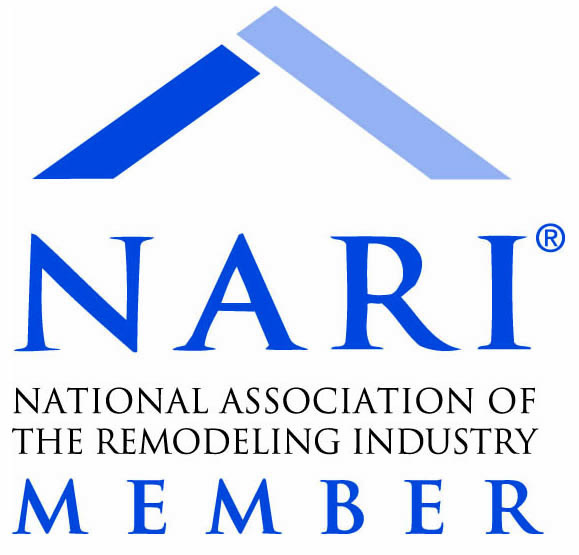 See more pictures of custom cabinets and remodeling projects in Gaithersburg and other locations.